Ready Steady Read encourages children to love reading and books. 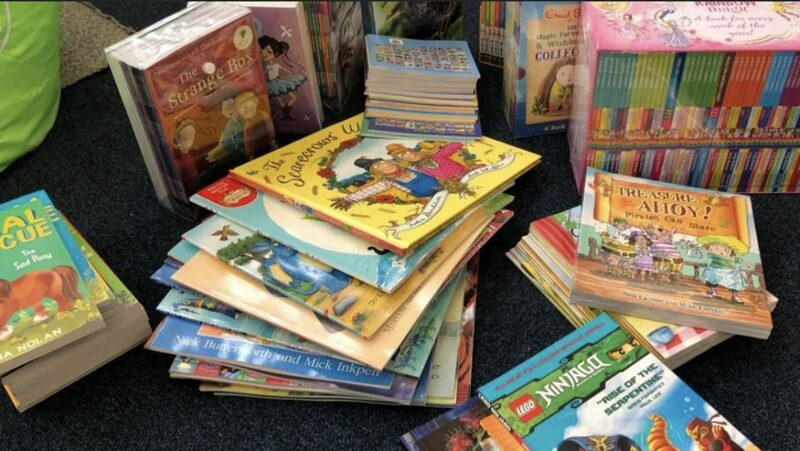 Hull based charity Ready Steady Read aims to help local primary school children to improve their literacy and boost reading ages by providing volunteer mentoring support, dedicated reading resources, and books. Reading opens up the door to a better education, and is an essential skill for anyone looking to achieve their full potential. Literacy feeds into so many aspects of life, and often, those that fall behind with reading at primary school never catch up. If children cannot read at the correct level for their age, they struggle to access the national curriculum and can quickly fall behind. Those children can then struggle to close that gap in secondary school leading to poor performance in GCSEs, reducing their options and prospects. The charity recruits and trains volunteers, before placing them in schools to provide one-to-one support to children. In addition to improving the literacy of young people in the city, the programme also gives them self-confidence and the skills they need to thrive. The charity has recently reached the milestone of having supported over 500 children. Along with being hugely beneficial for the children, volunteering is hugely enjoyable and rewarding as you see those you are supporting improve their skills and develop a love of reading and books. Ready Steady Read depends on volunteers of all ages and from all walks of life to help children become the best they can be. If you have two hours a week or more to spare and would like to join our team of volunteer readers, you can find out more by visiting www.readysteadyread.org or call Joanne Walker on 07949 734 175 or Paula Stead on 07961 881 565. Be the first to comment on "City charity ready to boost children’s literacy"